So much for the bus. Barron Trump will now be escorted by the Secret Service and NYPD, along with his mother, first lady Melania Trump, on his way to and from his private school. But according to TMZ, the traffic won’t be too much of a burden on New Yorkers. According to the site, streets will be blocked off in a “rolling pattern for just a few minutes to allow the first lady’s convoy to move quickly” from midtown’s Trump Tower to Barron’s school on the Upper West Side, and routes will be regularly changed for security purposes. Barron is due back at school this Wednesday, January 25. As previously reported, Upper West Siders and parents who have kids enrolled at Barron’s prestigious private school, Columbia Grammar and Preparatory School, are rightfully wary of having the president’s son enrolled there. "Some parents are freaking out and worked up about security and what the school is going to do," a school board member told Vanity Fair, and another added that she’s nervous about “some type of Mexican multicar street abduction” occurring. 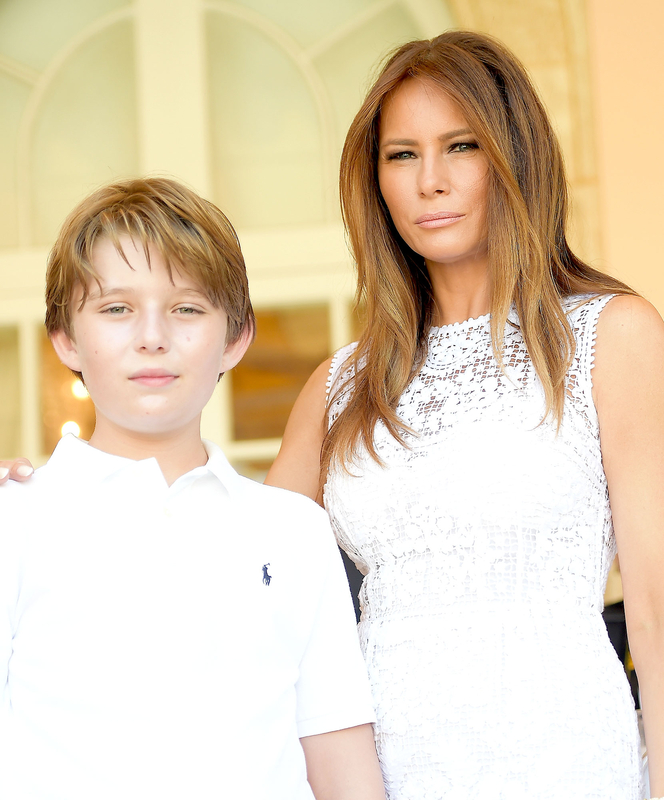 Melania, 46, previously explained that she’s going to keep Barron enrolled at the school, which costs $45,000 annually, throughout the year in an effort to not shake up the 10-year-old&apos;s life too much while his father, President Donald Trump, settles into the White House. "At that age, it&apos;s hard to explain to them," Melania told Us Weekly about Barron being nervous to switch schools. “I tell him: Take it day by day, enjoy your life, live your meaningful life as I like to do. … Of course, at that age, every child would worry, especially if they love school, if they love friends, they don&apos;t want to lose that. Everything is a new opportunity, and it brings new friends and a new school. You never know, you never know what happens. Enjoy it day by day, live your life and don&apos;t stress yourself." The new first family’s decision to stay in New York City, as previously reported, was estimated to cost NYC about $1 million a day. While Melania and Barron remain living at Trump Tower, President Trump is expected to commute back and forth to the White House. Trump’s daughter Ivanka Trump has moved to Washington, D.C., with her husband Jared Kushner and their three kids while his sons Donald Jr. and Eric Trump will stay in NYC to run the family empire.